This past year, has been somewhat a whirlwind but I have enjoyed all the experiences I have had. For 2015, I am looking forward to more of the same. I am really excited about attending QuiltCon and Glamp Stitchalot, looking forward to having a blast and meeting new people. 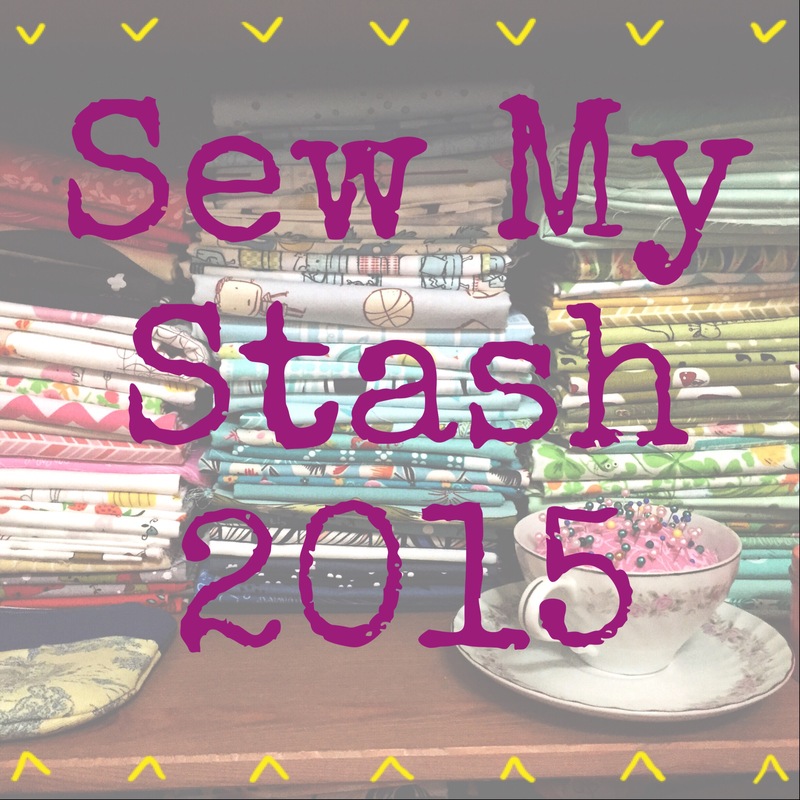 My biggest goal for the beginning of the year is to sew just from my stash. If I run out of a fabric in the middle of a project or require backing fabric, I can make a purchase. 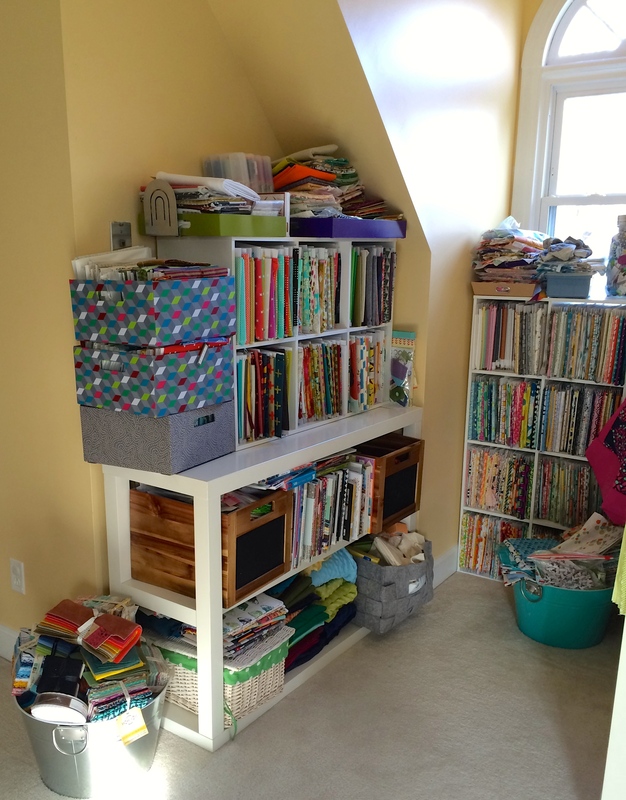 Yes, this is my stash…. Continue to make strides in finishing of my projects on a monthly basis (see below for project plans/targets). I will definitely continue goal setting with A Lovely Year of Finishes. Launch “Back to School” Tutorial series on my blog, which I hope will be a regular feature (coming beginning in January). Plan and teach new classes this year. 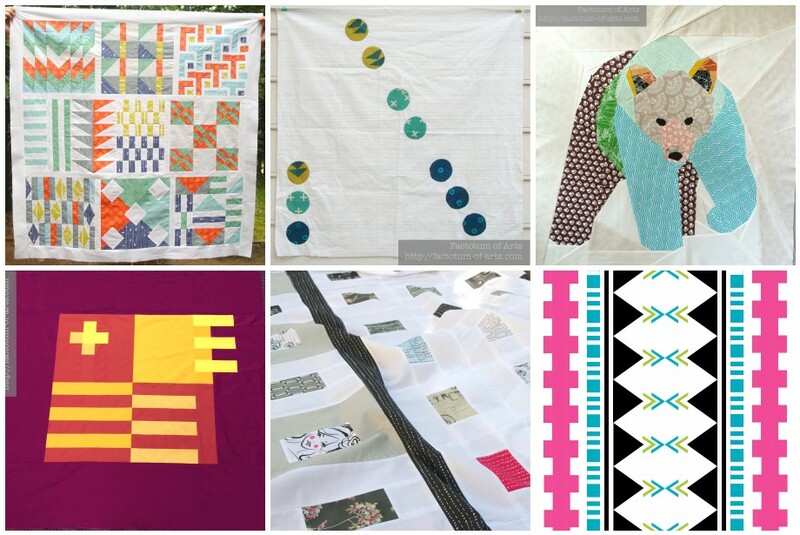 I hope to teach a needle-turn applique and a paper-piecing class this year. 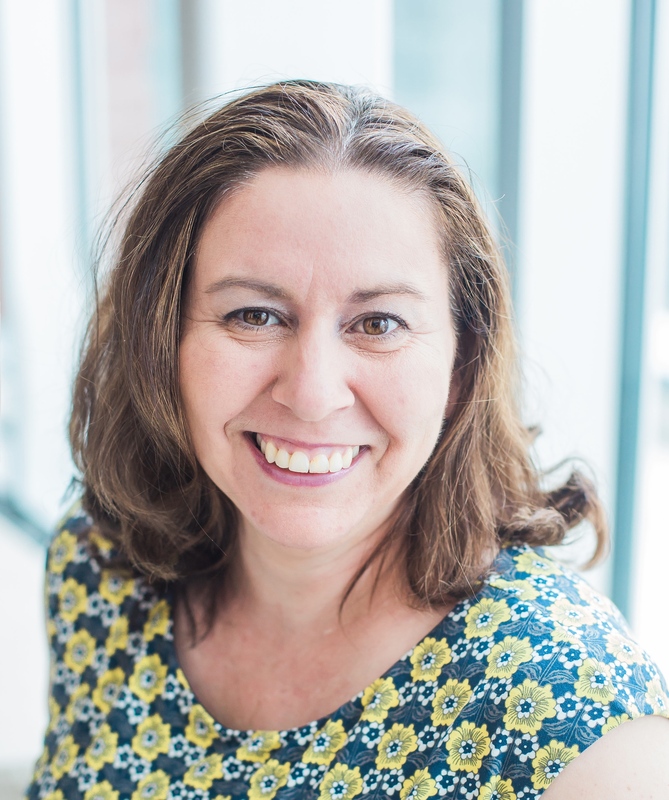 I have really enjoyed sharing Design to Reality on Sew Mama Sew, so I would like to continue contributing projects and take the big step of seeing if I can publish in magazines. Participate more in my guild (Triangle MQG). 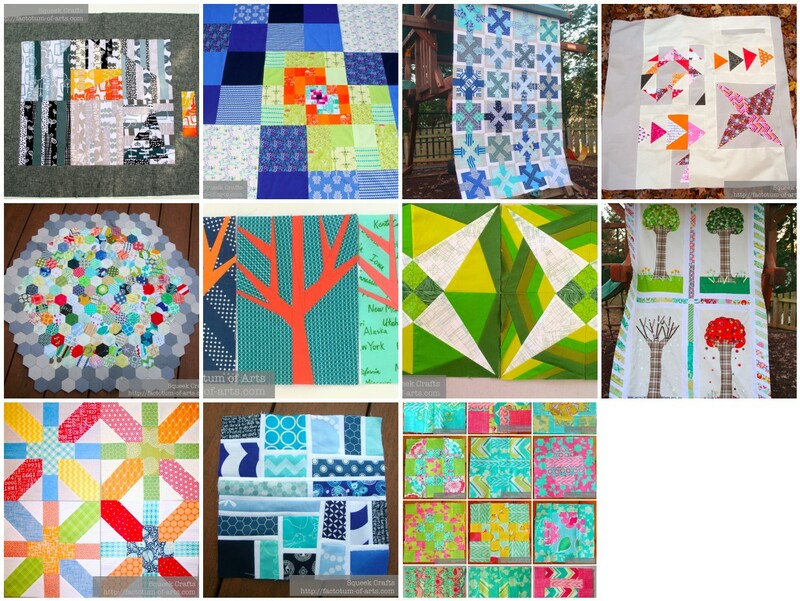 Continue participating in Quilt Design a Day. My monthly plan looks like a lot in the first quarter, but most of the projects are already made and just need finishing (ie. quilted). Also, flexibility is definitely one of my objectives as you never know what comes up. Wow, that took way longer than I expected (probably shouldn’t have tried multi-tasking in front of TV…3 hours later). Lastly, here are additional WiPs that I have on my pile that I hope to get to through out the year. I am looking forward to reading all of your goals and your dreams for 2015!! Happy New Year!! This entry was posted in Uncategorized and tagged 2015, goals on January 1, 2015 by mlwilkie. Happy New Year, Michelle! I look forward to watching your 2015 progress. It looks like you have a great plan and that you are going to be busy with fun projects. 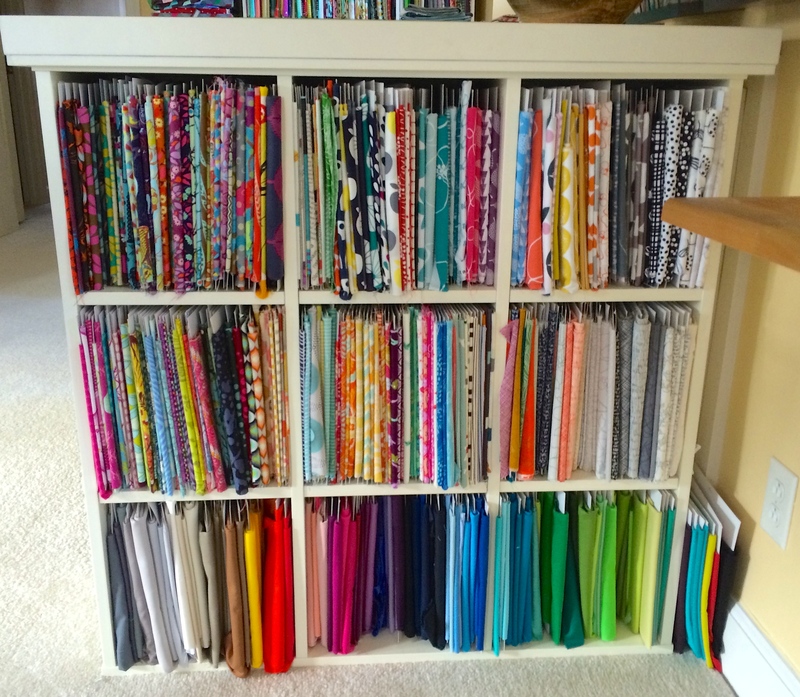 I love how organized you are, yet how flexible you are willing to be! 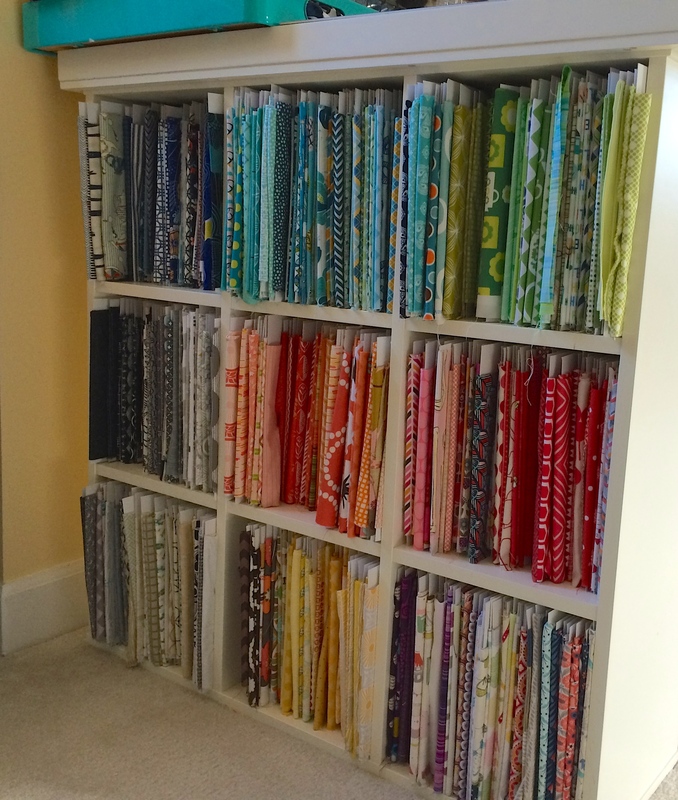 Definitely going to be a good year will both events and all your quilting plans! Those are some wonderful goals! I am especially interested in your back to school tutorials. Looking forward to reading about your adventures at QuiltCon and Glamp Stitchalot. Happy 2015! 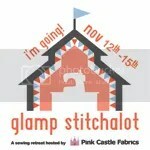 I’m attending Glamp Stitchalot, too! Great goals! I need to write mine down.